Below is an edited version of a passionate conversation between some of my friends (Prof, Mr O and Mr A) on the miraculous recovery of Patrice Muamba. For those who do not know Samuel Okawaraji, he is a Nigerian footballer that collapsed on the field of play but eventually died just the same way that Patrice collapsed on the field but has survived. The conversation below raises several interesting issues about Nigeria, hence I am sharing it. Enjoy the conversation. Oyinbo chop winch! You mean that Fabrice Mulumba boy survived? You know when I called you as soon as it happened, I told you he is gone, I have seen such a thing happen before. Imagine how Okwaraji died on the pitch in Lagos? What was the difference? I will tell you, he was in Africa and the other guy was in Oyinbo man's land. Yet, I wondered why it took them so long to take him to the hospital. To imagine that his heart stopped pumping for 2 hours and they were still able to pluck him back from the wind, tells a lot. Imagine the Nigerian medical team. The doctor don tire, no NEPA for house, his wife still stuck in traffic on her way to market. The medical room in the stadium nko, no drugs, if there are, the emergency oxygen supply is not working, no spares to effect repairs...the defibrators abi wetindem de call am again? They are not working well because no one ever tested them ever since one links man of a Nigerian who had been hanging out in Europe for years hanging on to contacts in Abuja arranged for the transaction of some made in Hungary ones, paid for in Vienna and shipped from Lisbon to be bought by the Football Association. I tell you, we never start for that country. I still wonder. It was a surreal moment. 2 hours of no heart and he is now talking and moving his limbs within with 48 hours. Why it took them so long? A Spurs fan jumped out of the East Stand to coordinate the whole process. He is a consultant cardiologist at the London Chest Hospital in East London and he insisted they took him there and he is one of the people treating Muamba now. He is the sort of person who is easily a hooligan over the weekend – drinking and fighting – and then lifesaver another time. Why they took so long on the pitch? They had to try and restart his heart and when it was taking long, they decided to take him to the hospital whilst doing it on the way. The Spurs and Bolton doctors knew what they were doing, but there is always someone who knows a little bit better – in the form of this cardiologist – and these fine margins are crucial. The fans were amazing. They were trying to “wake him up” with their chants. You know how they say you need to talk to a person who is passing out or dying to try and get them out of that unconsciousness. But Prof, you can’t compare Okwariji’s death in the 80s to this case. First of all, medicine has advanced. Secondly, procedures have changed. 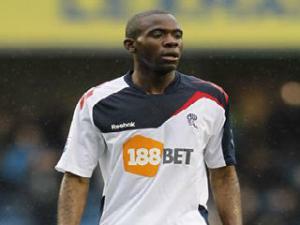 I am so moved to tears as I read Muamba’s story. You see this is what we are saying. How easily can you find a specialist of that calibre in our stadia during live matches between two local league teams? Followers of good football prefer to watch EPL Saturdays and Sundays in the comfort of their sitting rooms. The old practice of going to sports bars has gradually died down as these places have become safe haven for all manners of people who would prefer to bring all sort of cigarettes (both banned and unbanned) into the air conditioned tightly packed rooms. I disagree with this excuse that Okwaraji's misfortune happened in the 80s. I tell you most solemnly that the state of medical preparedness, the number of qualified experts and the level of patriotism in the 80s is higher than what we have today. Presently, as a nation we are down on all indices of human assessment. Whereas I agree that if Okwaraji had gotten to LUTH alive he could have survived. Now a very healthy person can develop a heart attack and die inside a teaching hospital in Nigeria. In certain ways, you are right. But I hold on to one of your statements here that is "conditions have changed". Truly, they have, inversely, in my country, vis-a-vis, what I saw human beings do in that stadium on Saturday. Let me tell you this, and make no bone about it. If that match was played in any stadium in Nigeria, including the sports facility in Aso Rock, even if Muamba's name was Goodluck Jonathan, we would be reading his ode by now. As sure as the sun will shine tomorrow, Muamba's body would be in a mortuary vault by now, assuming there's electric power in that mortuary facility, otherwise, as my wise Islamic brothers do, his body would have been committed to mother earth by now. Let's get this straight and let's get this right, development has little to do with the passage of time, nor the availability of technology. It has got everything to do with what Kwame Nkrumah once said - "the ability to judge conditions in your environment right, and to proffer appropriate and effective solutions to specific challenge” What we saw on Saturday was the entire stadium, rising as one man, reading a situation appropriately, proffering effective solutions and acting with reason, discipline and resolve. Thus, a departed soul was plucked from the wind. Who says Oyinbo man no fit make somebody, sooner or later? Let us look at a typical response of my people to such an experience. First, the witch catchers go enter, then prayer warriors go step in, burning and casting out the demons that want to take the man's soul away. The little oxygen going down his pipeline go kuku seize. Then someone go see the hand of Boko Haram inside, in no time, katakata go follow. Then read the papers the following day, you go hear Pastor Joshua and Primate Olubayo own for inside, and you will be shocked to discover that the Cardiologist you talk about de plan to go for some miracle session for G.O Church that evening, in which case, he would have half-heartedly been involved in efforts to revive the departing soul. Hospital, let's not even come to that. We know little of the modern age, we do not even believe in science and technology. Give us all the modern innovations and know how in medical field, that footballer would still have died. Agreed Prof. Even if we have all the equipment and do not have the mentality to apply it, then, what’s the point? My mum used to complain – before she retired – that quite a few people died at the hospital she used to work and they got the blame for a lot of them. The anger was, the sick people were usually in the priest’s house for prayers till it get too late and then they bring them to the hospital for their inevitable death. I have never understood that. I cannot help but think that – just like you were suggesting – that if this had happened in Africa, prayers would have been the first thing instead of medication. It also depends of your luck, in terms of the mentality of those around when this happens. And if the person had survived through the quick thinking of someone around, trust that some priests would have claimed credit for their prayers. This will then lead to people thinking that’s the only way forward. When Muamba fell, the players straight away called for medical assistance, before Van Der Vaart, Gallas, and Tuncay started praying on the field. The sought medical help first. Combine both, but seek medication first. Like I always say here, it’s our upbringing. In fact, given all the dangers around, I wonder why people still play football at all in Nigeria. Whenever I visit Nigeria these days, I find it difficult to rouse myself - to go out. I have seen accidents happen in streets. Those who should know better about first aid, just drive away, not wanting unforeseen problems in trying to be a Good Samaritan. The first people in an accident scene in that country are often the uneducated and bad mouthed area boys, who when not scheming how to make away with the victim's possession, know next to nothing about first aid, they nevertheless go ahead to administer. I have seen an accident victim losing blood and furiously asking for water, given a satchet of pure water to drink, when even a teenager in his first "first aid training day" knows the last thing to do to anyone losing blood is give him water to drink. You would imagine the police should know better whenever they arrive the scene. My brother, pray nothing should happen to you or anyone you know in Nigeria. The police will first of all try to secure the place, from who, ask me, when a man is on the ground dying. Then, they will run helter skelter, with loaded AK 47s dangling on their shoulder, trying to commandeer a vehicle. And when one is somehow manoeuvred through the traffic of busy body well-wishers who will do next to nothing other than well wish, the victim will be bundled, double over into it, not minding if there was some spinal injury waiting for a bad handler to worsen it. To cut short a long story, that country hosts a failed society. It's a nut house....a crank pot. And to imagine they have a minister of tourism, one of health, and another of international commerce, lol. Join the conversation. What do you think? Are things as bad as it is being painted here or even worse? Share your views in the comment box below.